This part of the series is for those people who are tired of executing two command prompts. One for TypeScript compiler and one for web server. “Concurrently” is a node module which will let us execute multiple commands concurrently. Now in command prompt we will be able to demonstrate multiple commands concurrently. Let’s test the same. Execute following command. As you can see, we are trying to execute “dir” command more than once using “concurrently” module. As you can see, it is displaying “dir” command output two times. 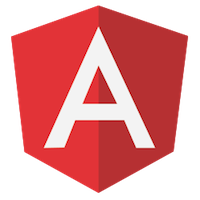 Now create a file called “AngularStart.bat” in the root folder of our Angular Project and put following contents inside it. concurrently "tsc -p "TypeScriptFiles" -w"
As you know, “-w” flag will start TypeScript compiler in watch mode. “-p” command let us specify the location of our root TypeScript folder (folders where our tsconfig.json exists). Note: Here specifying “-p” flag is must, because “tsconfig.json” file is located in some other folder(in TypeScriptFiles folder) and we are executing “tsc” command in some other folder(in root folder of our Angular project). As you can see, executing batch file simply started TypeScript compile in watch mode. So far we have not taken the real advantage of “concurrently” module. Change batch file content to following. 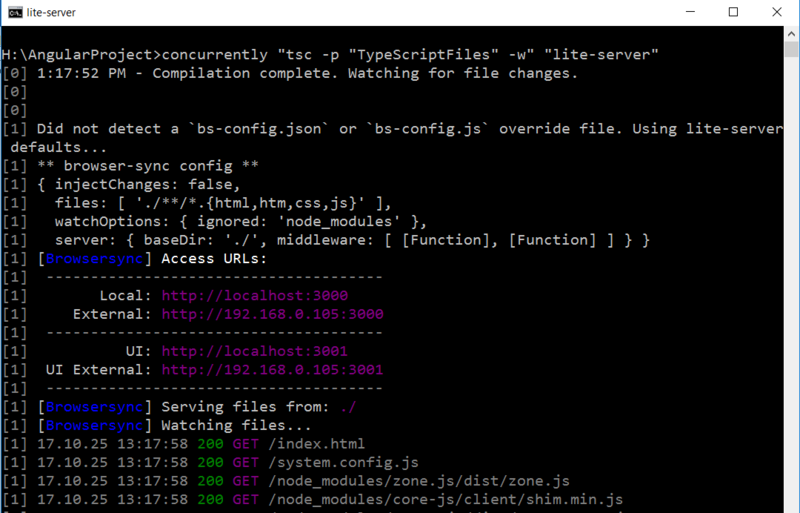 concurrently "tsc -p "TypeScriptFiles" -w" "lite-server"
Execute the batch file once again. You will notice both TypeScript compiler and lite-server executing concurrently. It will also launch the browser and executes our application. Now on, after every lab you can simply execute the batch file and get the output. In case of any queries you can drop a comment. I will try best to reply earliest.